Projects help teach general physics. Is there a better alternative to Physics? Is Physics really the best app in Teaching Tools category? Will Physics work good on macOS 10.13.4? Has the installer for the 4.73 version of the SuperCard 4.7 Player, which has been updated for OS X 10.7. Physics needs a rating. Be the first to rate this app and get the discussion started! Physics...Some years ago I created many SuperCard Player projects with text, graphics, and animations for teaching a one-year calculus-based general physics course at Saint Louis University. The projects were designed to accompany lectures, so they are not complete tutorials. Still they should be useful to students. They are very easy to use. Each click of the mouse button causes a new text entry or graphic to appear. So you can set your own pace. You do not need to own SuperCard. These are freeware projects which only run on a Mac under OS X. They have been updated using SuperCard 4.7. The included SuperCard Player Installer now installs SuperCard 4.7 Player, which is a Universal application. So Physics now can be played on either PowerPC or Intel equipped Macs. What is included in the download? 1. "Read me! 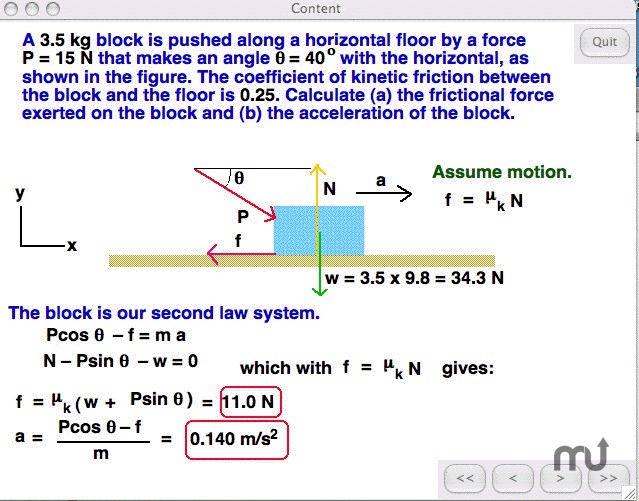 Physics" and "Read me! SolveLinEqs". 2. "SuperCard Player Install.dmg". Run this to install the "SuperCard Player 4.7" folder. 3. "PICS folder". Put this in the "SuperCard Player 4.7" folder. 4. Semester I folder. There are 34 SuperCard projects covering the first semester. The number before each name is its order in a course using Halliday and Resnick. Just double click a project to run it. The first card explains what to do. 5. Semester II folder. There are 33 SuperCard projects covering the second semester. 6. Semester I list. A list of the project names for Semester I. 7. Semester II list. A list of the project names for Semester II. 8. "SolveLinEqs" application.